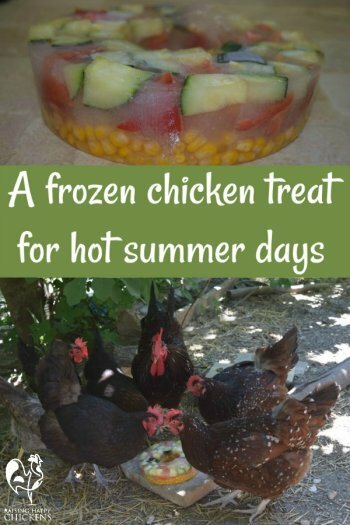 A frozen chicken treat to keep your flock cool in the heat. No time to read now? Pin to save for summer! 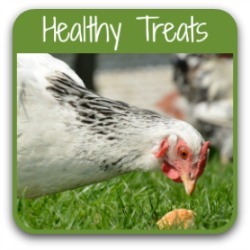 No, I'm not talking about a chicken salad - I'm talking about a salad treat for chickens! 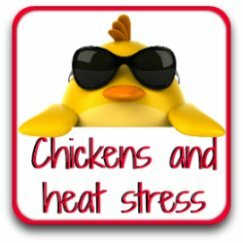 Did you know that poultry don't do well in the heat? They're great at regulating their temperatures in the coldest of cold weathers. Of course - they have a feather duvet to help! But that doesn't work well when the temperatures soar in the summer. 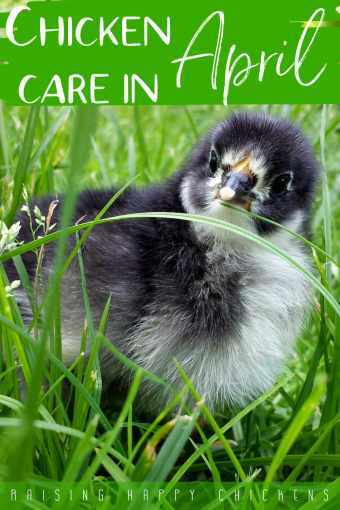 It's at that time that your flock relies on you to help them keep their body temperature at an acceptable level. 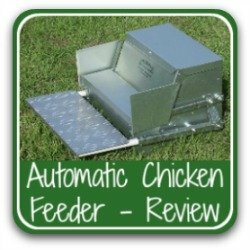 There are various ways of doing this, and one of the simplest and most effective is to feed them frozen treats. 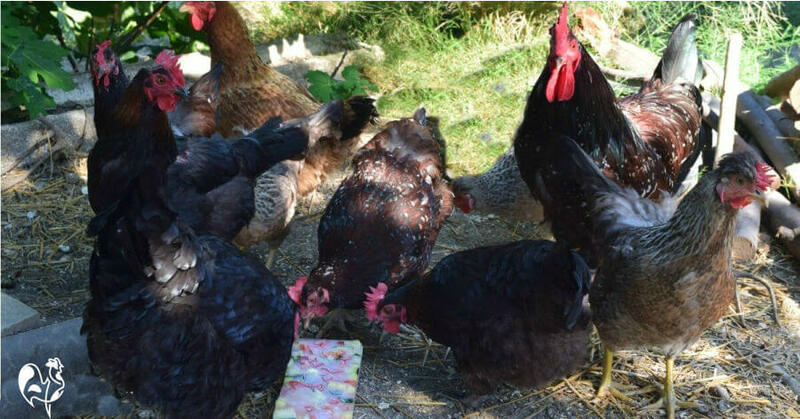 Of course, with the glut of summer fruit and veg, it's possible to freeze more or less anything chickens love to eat. But freezing them separately can be a pain, and they do get bored if they're fed the same food time after time. 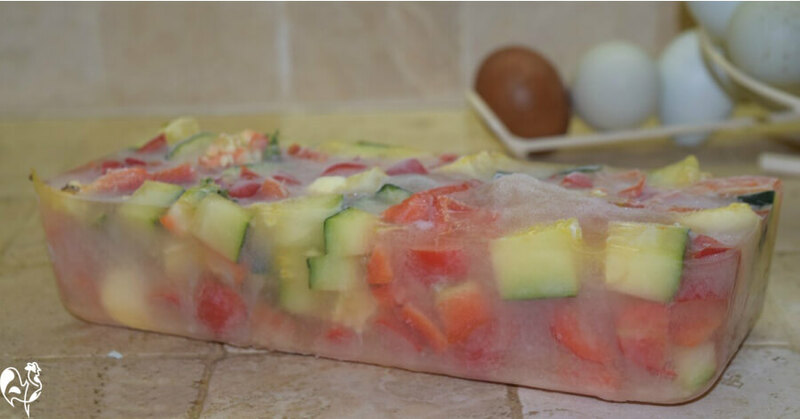 This very simple recipe for a frozen chicken treat is the ultimate answer. 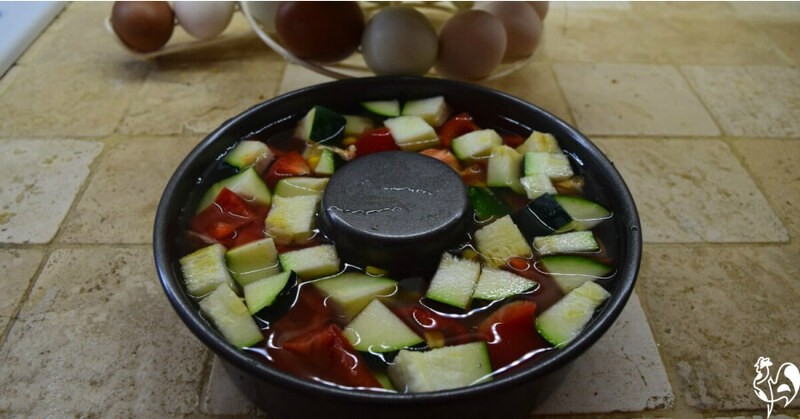 It uses up fruit and veg which you may not want to use for human salads for one reason or another - for example, I often use zucchini which have bolted and are fairly tasteless, or windfall apples showing signs of worm infestation (because, of course, that's a chicken's idea of heaven!). 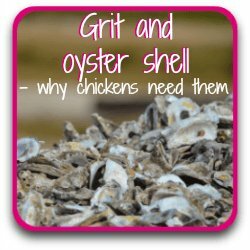 So it's very inexpensive, yet healthy for your hens. 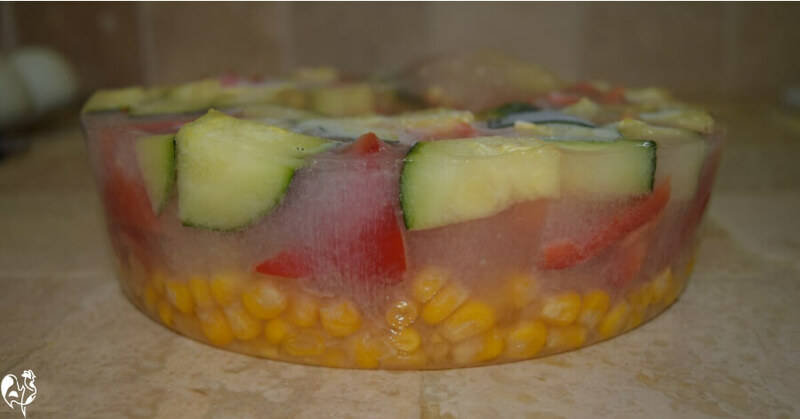 It take just a few minutes to prepare, it's easy to freeze and, as well as keeping your flock cool and hydrated, it gives them some fun. Any kind of large-ish tin. Don't use small containers like muffin pans - the treats will melt too quickly. I use loaf tins and jelly (jello in the US) moulds, although my all-time favourite (and, I'm sure, my chickens' favourite) which has a myriad of uses is this bundt tin - worth its weight in gold. (This is an affiliate link, which means I get a small commission at no cost to you if you buy something when you click it). My Bundt pan has lots of uses, including my frozen salad chicken treat. When I make other treats with it, I can hang them through the hole in the middle. I never hang these frozen treats, though. 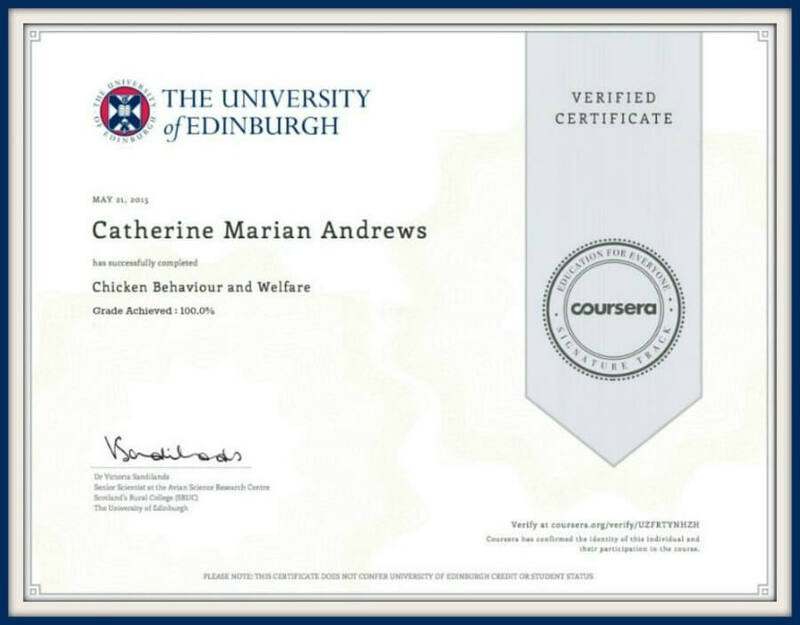 My chickens are hot enough - they don't need to get their temperatures any higher by jumping for treats, thank you very much! 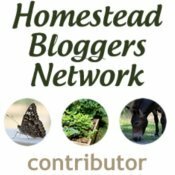 What ingredients are in a frozen chicken treat? More or less anything you have to hand. 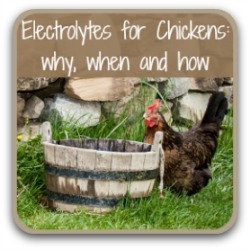 The idea is to keep your flock hydrated, as well as cool, so choose mostly ingredients which have a high water content. It's not gross - I don't use the tins for our own cooking! 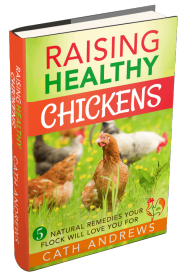 I never use any ingredients which have gone off, have mould spores or anything that's just downright bad for my flock. 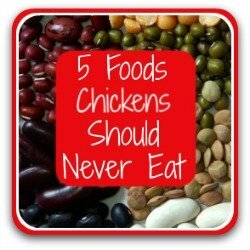 You can find an article about things that chickens should definitely not eat, by clicking on this link. Put the ingredients into the pan. Mix them up a bit so you get a nice colour combination (I'm sure my chickens appreciate that). Top up nearly to the top of the tin with water. When it's frozen, hold the pan upside down under cold running water for a few seconds and you'll feel the frozen treat begin to come away. 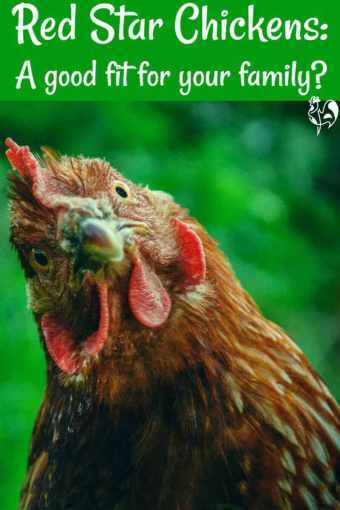 And then - feed to your flock! 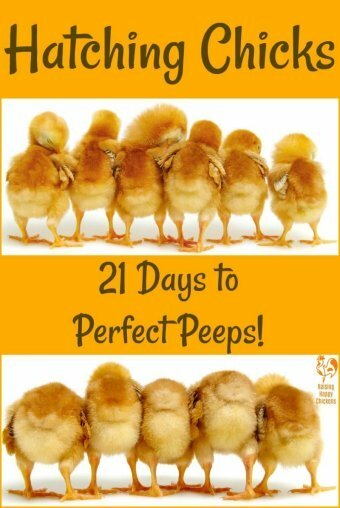 What do the chickens think? 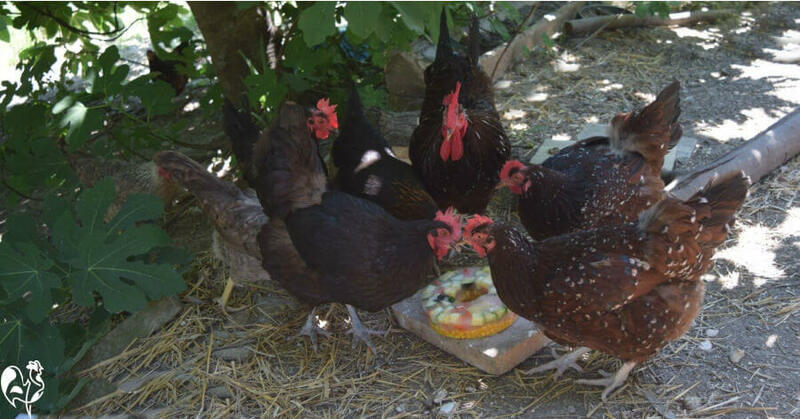 Some of my flock tucking into one of their frozen salad treats on an Italian summer's day when temperatures soared. I always feed it in the shade. In very hot weather I'll give at least two of these treats each day, one in the late morning and another early afternoon. The chickens not only love to peck at the ice block, they enjoy standing in the cold water as it melts. That's all there is to it. As I say, it's not rocket science! Ring the changes with an oblong frozen treat! This one's made in a bread tin. 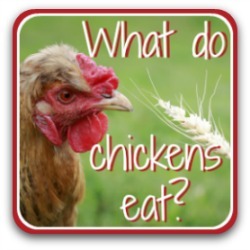 ...but to be honest, I don't think my chickens really care. As long as there are tasty summer treats in there, they're good. If you enjoyed reading this article, you might find these helpful, too. 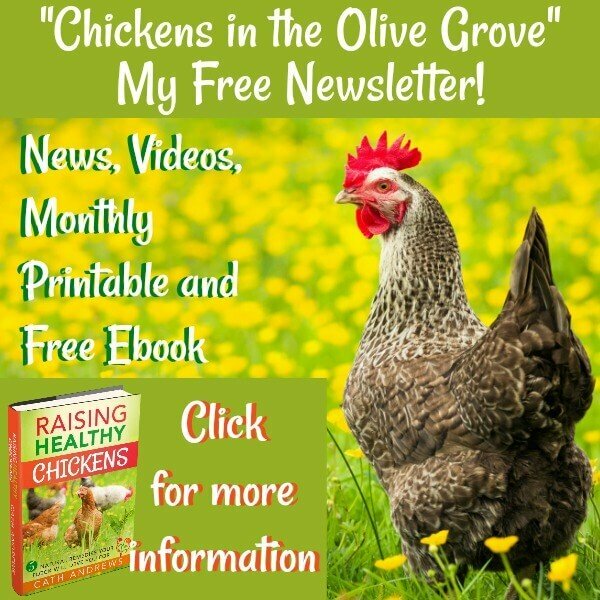 ... and on this page you'll find other links to all the topics I cover about feeding your flock to keep them happy and healthy.